The Women for Christ of the Evangelical Lutheran Church of the Central African Republic held their national conference in Carnot, CAR, from February 21–26. Carnot is located in southwestern CAR in the heart of gold and diamond mining country, on the edge of the world's second largest rainforest. Participants heard a presentation on maternal health and the importance of pre-natal care, as well as malaria prevention and treatment from Dr. Christa von Oertzen, German gynecologist and medical director of the Emmanuel Health Center, a Lutheran hospital located in Gallo, CAR. Malaria, the number one cause of death in the CAR, is especially dangerous for children under five years of age and pregnant women. In a symbolic gift from a group of six women visiting from the U.S., mosquito nets were presented to five pregnant women. One of the visitors commented: "If we had realized how great the need is, we would have brought a free net for each delegate!" During another session, the region's district attorney spoke on women's and children's rights, emphasizing that everyone has the right to be free from violence and to receive adequate food. He also explained that women have the right to freedom of movement and association with their friends, and that children have the right to attend school and to be free from exploitation by forced labor or forced marriage. He cited cases of girls as young as thirteen being forced into marriage by their parents in exchange for money or goods. The presentations were well-received by the delegates, who numbered some 250 women from all parts of CAR, along with the six American women who represented the U.S. partners of the Evangelical Lutheran Church of the CAR. Rev. Deborah Troester, Rev. Jackie Griffin, and Ms. Anne Langdji, members of ELCA's West Africa Team, also participated in the conference. Photo: Marlene Arneson (Eastern North Dakota) and one of the youngest conference attendees. The other visitors from the States were Diann Bratlie (Eastern North Dakota), Deb Williams (Western North Dakota), Peggy Hahn and Lucia Morales (Texas-Louisiana Gulf Coast), and Naomi Staruch (LPGM). Deborah and Joe are ELCA (Evangelical Lutheran Church in America) missionaries in Baboua, the Central African Republic. 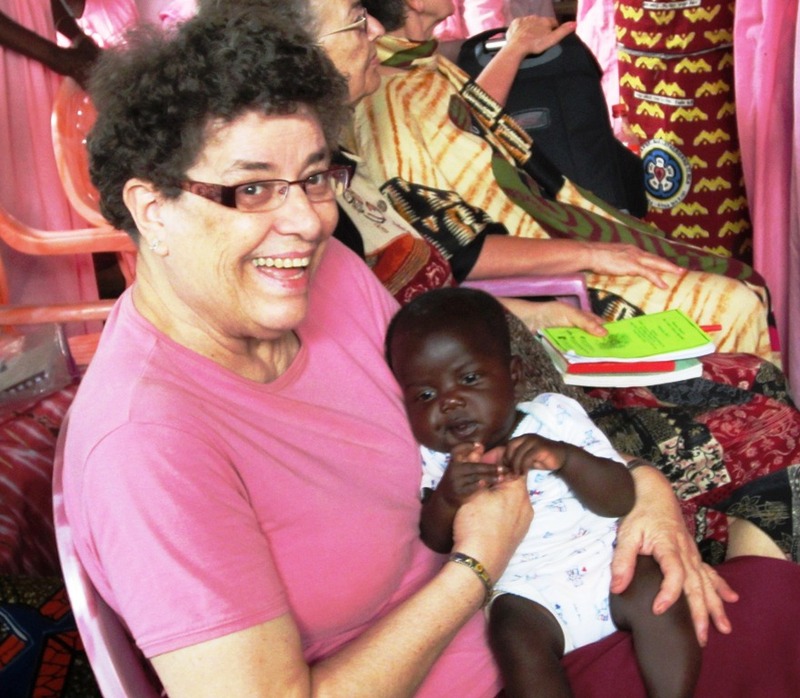 Pastor Deborah teaches at the Theological School in Baboua. Joe serves as technical advisor for PASE, which provides clean drinking water and promotes good hygiene and sanitation to villagers. Their daughter, Christa, attends ninth grade at Rain Forest International School in Yaoundé, Cameroon.